Imagine sitting by the campfires and telling spooky stories, falling asleep under the stars to the sound of crashing ocean waves—and all without the hassle of lugging around camping gear or waking up with an aching back. Sound like fun? Then plan a road trip up the world-famous Pacific Coast Highway (PCH). Enjoy the best “glamping” (i.e. glamorous camping) destinations for the best of both worlds. You’ll be close enough to nature to feel removed from the everyday hustle and bustle of daily life, but with enough comfort that you’ll feel like you’ve gotten a chance to treat yourself. Starting in San Diego and heading north to the San Francisco Bay Area, we’ve found some of the best glamping spots along the PCH so you can get back to nature without totally roughing it. Ready, set, go! 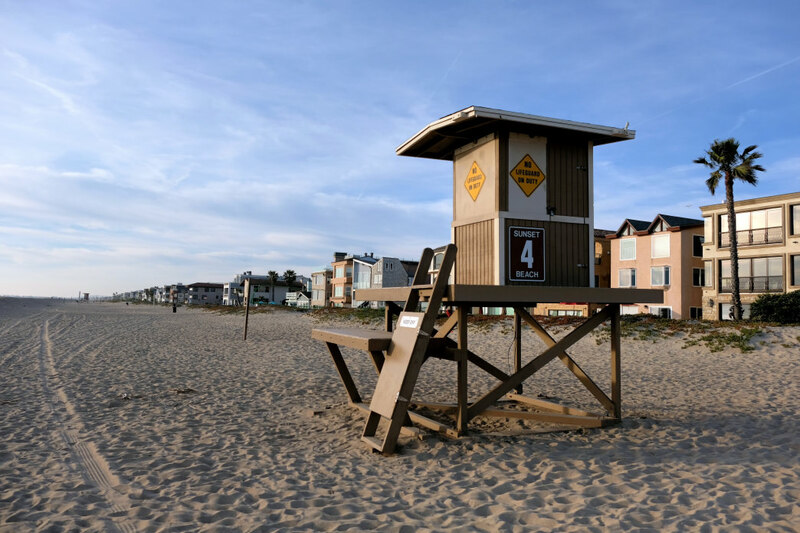 San Diego alone could provide a week’s worth of adventure, so sure to give yourself some time to check out some of the local sights (like Balboa Park, the San Diego Zoo, San Diego Art Museum, or the Midway Aircraft Carrier Museum, to name a few) before making your way to LA. If you’ve been dreaming of a safari in a remote location, the San Diego Zoo Safari Park might just hit the spot. Spend the night with lions, tigers, giraffes, and zebras for a once-in-a-lifetime experience that can’t be missed. Choose from several different tent options (all comfortable), and from a variety of adult-only or kid-friendly options, including themed evenings. The experience includes meals, guided walks, and a campfire for a true safari-esque experience. 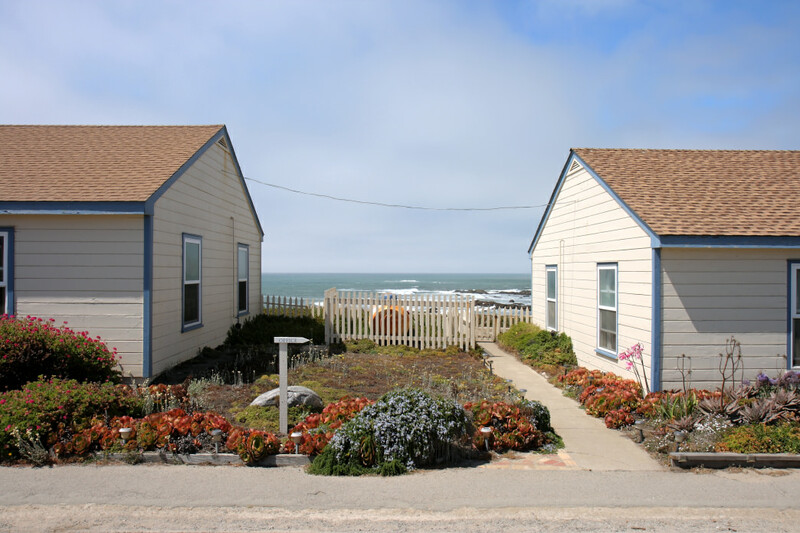 Painstakingly restored cottages provide glampers with a throwback experience to the Crystal Cove seaside colony of the 1930s to 1950s. Care has been taken to preserve the “architectural charms of the original structures,” which can include stays in the historic Soda Shack, the Romantic Retreat, or Sand Castle cottages. An added bonus of glamping here is that it helps support the Crystal Cove State Park’s preservations efforts. This 85-foot tall replica of a historical water tower will give you some serious glamping street cred. This truly unique luxury accommodation offers stunning 360-degree views of Huntington Beach, the ocean, and the San Gabriel River (all are within walking distance, too!). Amenities include two master bedrooms with wet bars, a circular bath that boasts a freestanding sink and revolving walls to the second floor, a fire pit, and a 175-gallon fish tank. 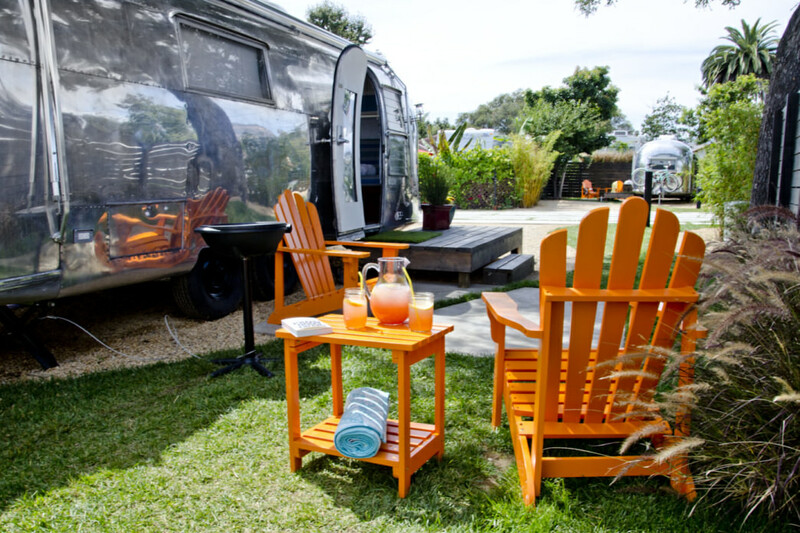 Settle into a shiny Airstream trailer at the Autocamp in Santa Barbara. Take in a little culture at the Getty Villa before taking a hike in the Topanga State Park and settling in for the night in the hills. Or keep going to the spectacular beaches of Malibu or the Santa Barbara Waterfront. Wine lovers will want to check out the Santa Ynez Valley, where 120 wineries offer up all kinds of opportunities for finding the flight of your dreams. Something about Topanga Canyon makes it the perfect spot for prime glamping opportunities. After hiking on dozens of trails or exploring the mountain biking singletrack and horseback riding trails, relax in a tipi, richly decorated with Native American art and weavings. Or plan a zen yoga weekend with the Gypsy Escape and choose from a cozy caravan trailer, chandeliered gypsy tent, or a tin roof cottage. North of LA about halfway to Santa Barbara and an easy, 30-minute detour off the 101 might be the coolest KOA ever built, with accommodations from rustic to deluxe. The Glamour Tent comes with a queen bed, mini fridge, and microwave, or sleep in a Native American-styled tipi, which come in a variety of sizes and also have beds inside. Experience the excitement of being a kid at summer camp—but without the mosquito bites—in one of the well-heeled safari tents or luxe cabins at this family-friendly resort. This secluded spot has easy access to the ocean and you can explore the same canyon that the Chumash Indians once called home. Ready for something a little sleeker? Spend the night in a bright and shiny Airstream trailer for a retro glamping experience that is as chic as it is fun. Featuring luxury pillowtop mattresses, down comforters, high-end bath products, and beach cruisers, this place really puts the ‘glam’ in glamping. The winter of 2017 unleashed storms that have made sections of Big Sur temporarily inaccessible, but there are still alternate routes that allow visitors to explore some of the most beautiful stretches of the Big Sur coastline. Now might even be the perfect time for a crowd-free adventure, but check current road conditions before you go. 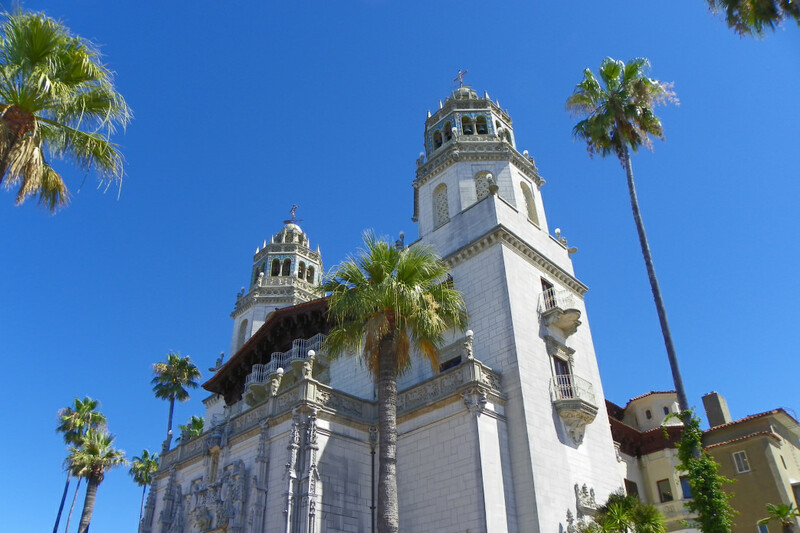 Once you hit San Luis Obispo you’ll need to make a decision. It’s possible to head straight for the detour route up Highway 101 through Paso Robles to Salinas and cut over to Carmel/Monterey OR you can continue up Highway 1 past San Simeon to Ragged Point (the current turnout point for the road closures), to check out Hearst Castle and the seals, then backtrack down to Highway 46 and head east to pick up the 101 toward Carmel and Monterey. Billed as a “private retreat and sanctuary exclusively for couples,” the concept here has pampering and luxury in mind and great attention has been paid to the details. With accommodations ranging from bedroom lofts and chic cabana yurts to a luxurious Airstream trailer, it might be hard to find any more of a glampy experience than at this no cell phone zone retreat. Sleep in style with the famous Hearst Castle zebras right in your backyard. This brand new experience just opened in June and provides all the expected amenities of tent glamping, including comfy beds and well-appointed furnishings, but with abundant nature and wildlife, spectacular views, and on-site dining options. And did we mention the zebras? This cabin was once a military bunker which resided at Camp Roberts, but in the 1970s it was moved to its current location and is now a cozy, romantic getaway. With views of the area’s famous vineyards, this is the perfect location for sommeliers and wine enthusiasts to base their tasting tours. About halfway into the 101 detour lies a chance to glamp in the heart of Big Sur. Not for the faint heart, this twisting mountain road with no amenities leads to the Treebones Resort, nestled on the spectacular Big Sur coastline. Choose between 16 yurts, five campsites or “The Human Nest”—all of which have breathtaking views of the Pacific Coast. Resort amenities include yoga, kayaking, massages, a heated ocean-view pool, and a hot tub. About a 30-mile stretch of Highway 1 is now open from Carmel to the Big Sur Ranger Station (the current turnaround point), offering opportunities to experience some of the highlights of Big Sur, like the famous Bixby Bridge. For a slightly more upscale stay, one of the cabins at Glen Oaksis the epitome of posh comfort. Each cabin comes decorated with a cozy, yet modern style, with high-end woolen bedding, feather duvets, and natural bath products. Try the on-site restaurant for the best of seasonal California cuisine. With a motto like “salty breezes, sweet dreams,” it’s easy to see why sleeping under one of the tallest lighthouses in America has been a perennial favorite since before ‘glamping’ was cool. Housed in historic lighthouse keepers’ quarters, the rooms at Pigeon Point Lighthouse offer sweeping views of the Pacific Ocean and the chance to book a session in the oceanside hot tub. Chill out here and watch brown pelicans, Pacific harbor seals, and migrating gray whales in their natural habitat. Snuggled into the rolling hills just minutes from the Point Reyes National Seashore, experience the romance of this secluded yurt. Located on a quiet country road and complete with a California King bed, private hot tub, and garden, an evening here is a perfect way to end (or begin) a journey.